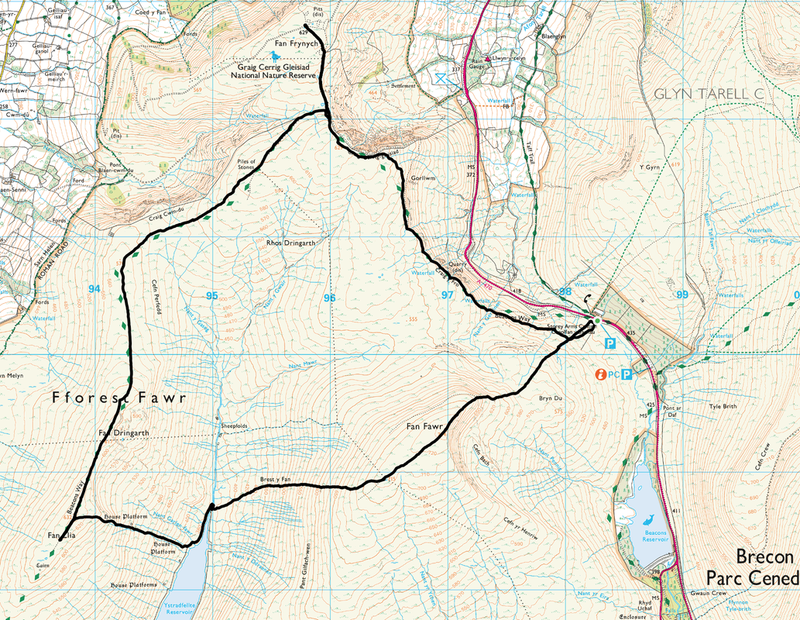 Mainly good mountain paths although the path from Fan Llia to Fan Fawr is intermittent. 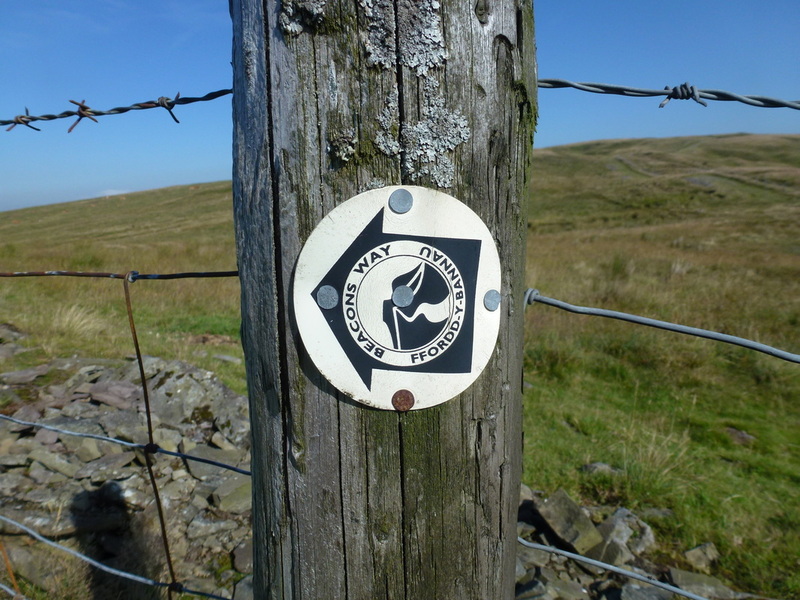 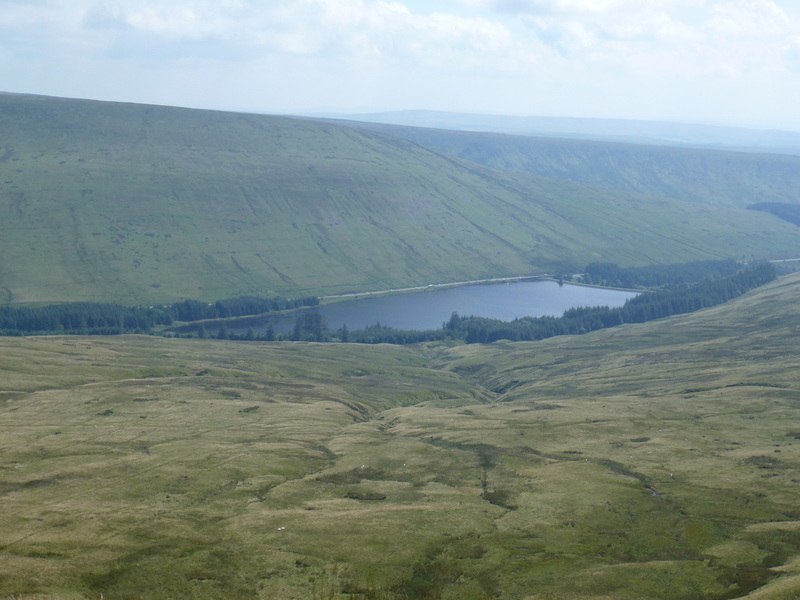 There is no bridge over the outflow from Ystradfellte Reservoir but there are plenty of places to cross. 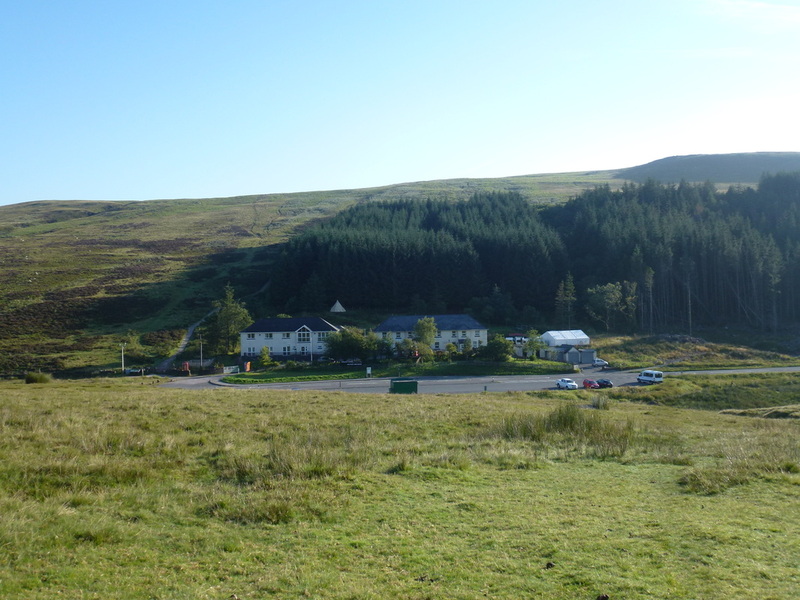 ​Most people parking at The Storey Arms (its not a pub by the way!) 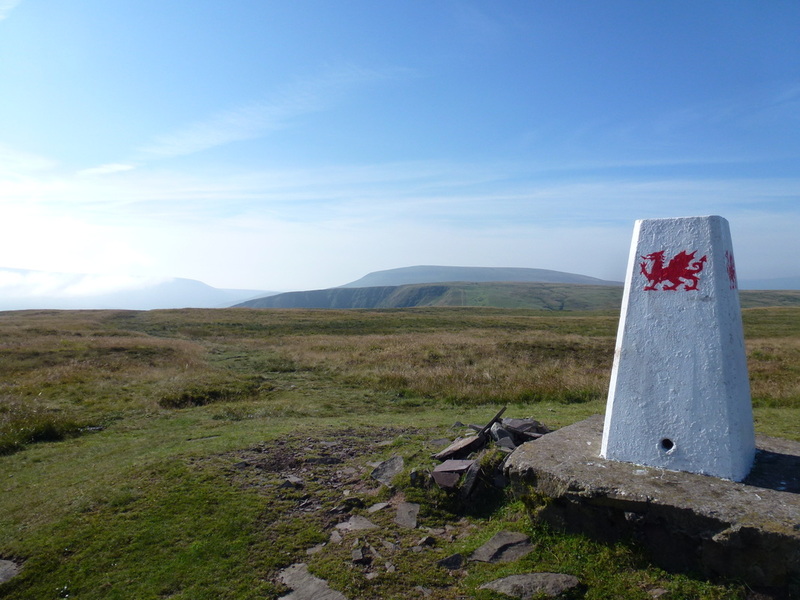 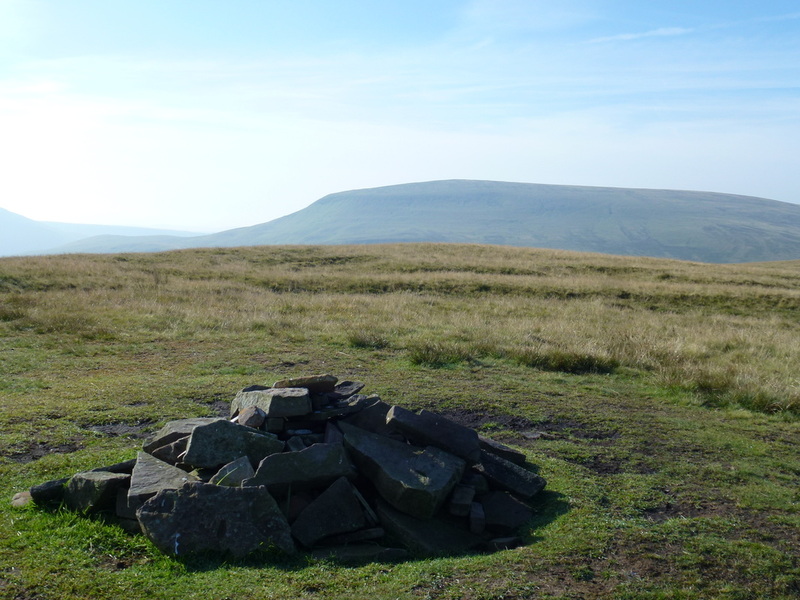 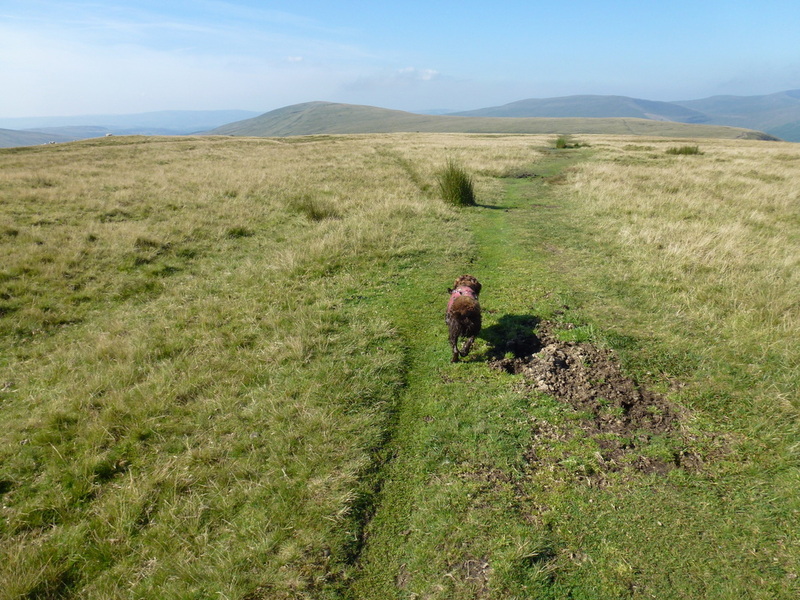 head on up to the Brecon Beacons more popular summits of Corn Du, Pen y Fan & Cribyn etc. 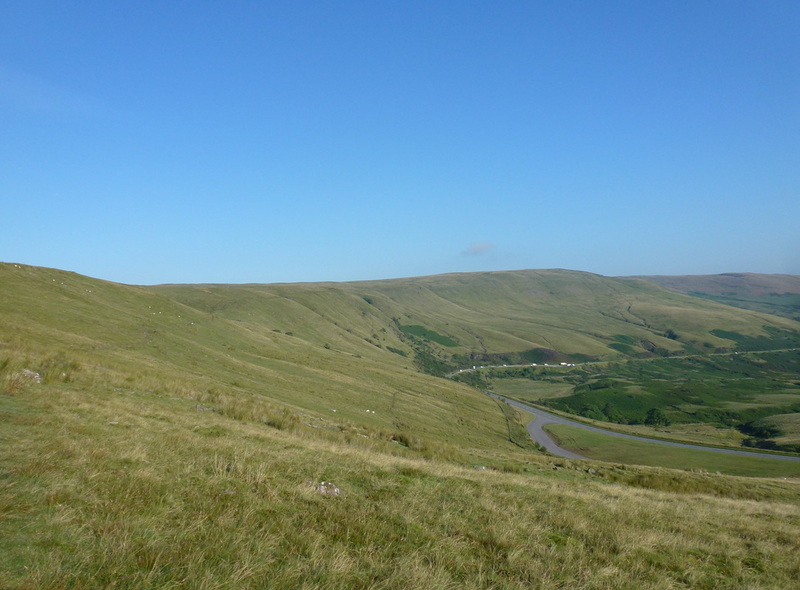 Whilst not appearing to be as dramatic as their illustrious neighbours, the hills on the other side of the A470 are certainly worth a visit. 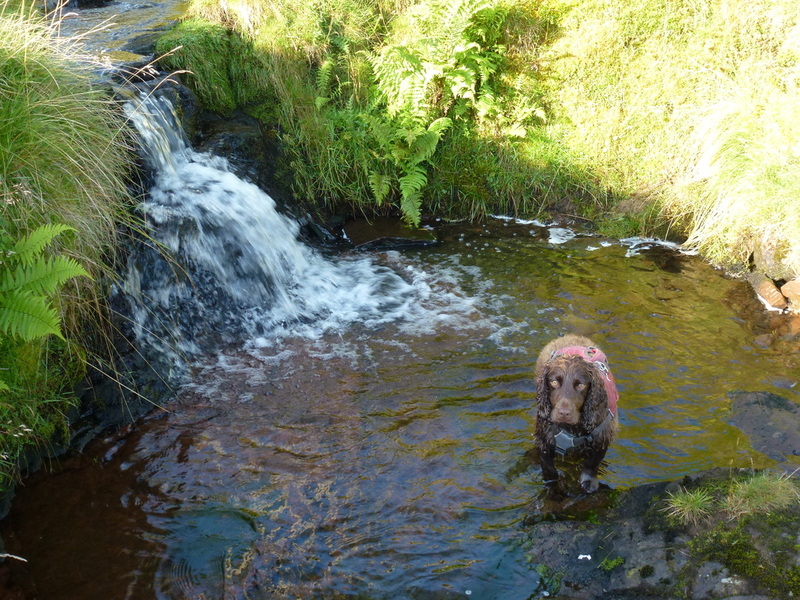 It was just Fudge and Dave out today and with the promise of fair weather we arrived at The Storey Arms nice and early. 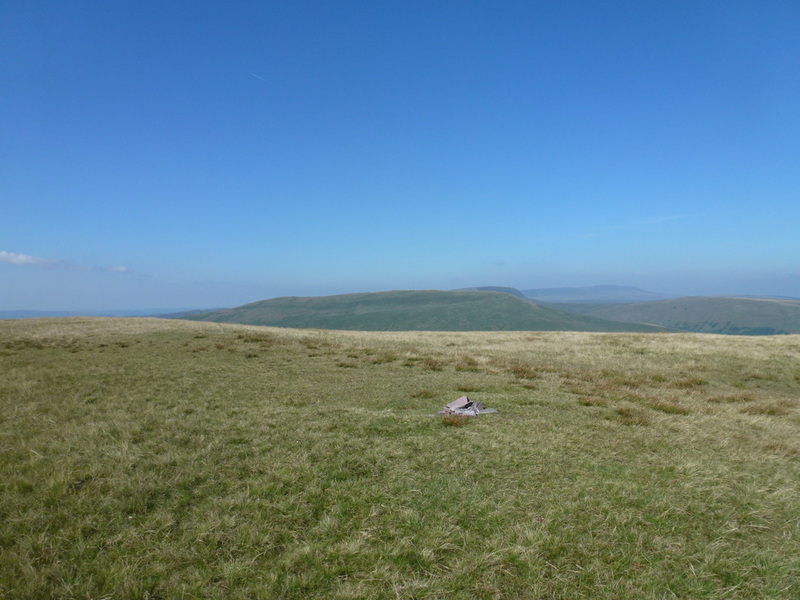 We were to visit the summits of Craig Cerreg-gleisiad, Fan Frynych, Fan Llia and Fan Fawr - all four are Welsh Nuttalls. 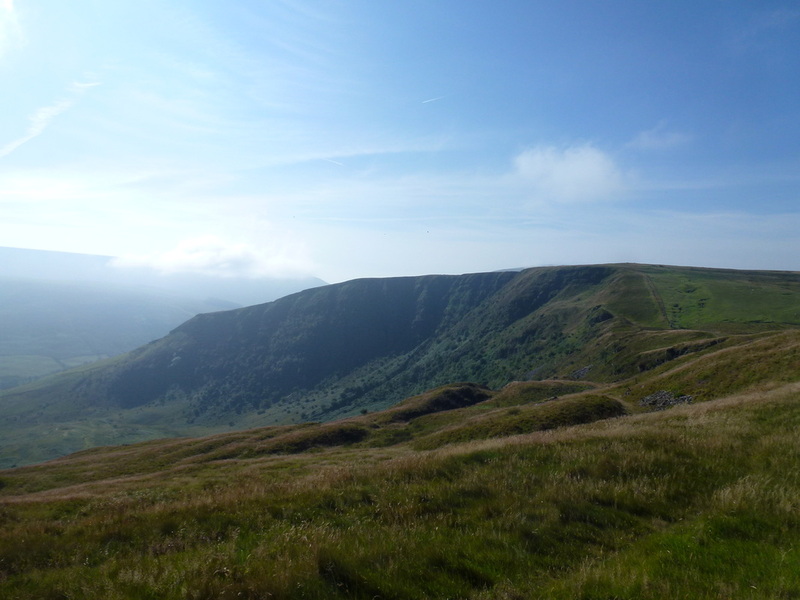 Leaving the car park, the path headed up gently above the A470 and ran parallel with the road for a mile or so before turning to the west and leveling out as the summit ridge was reached. 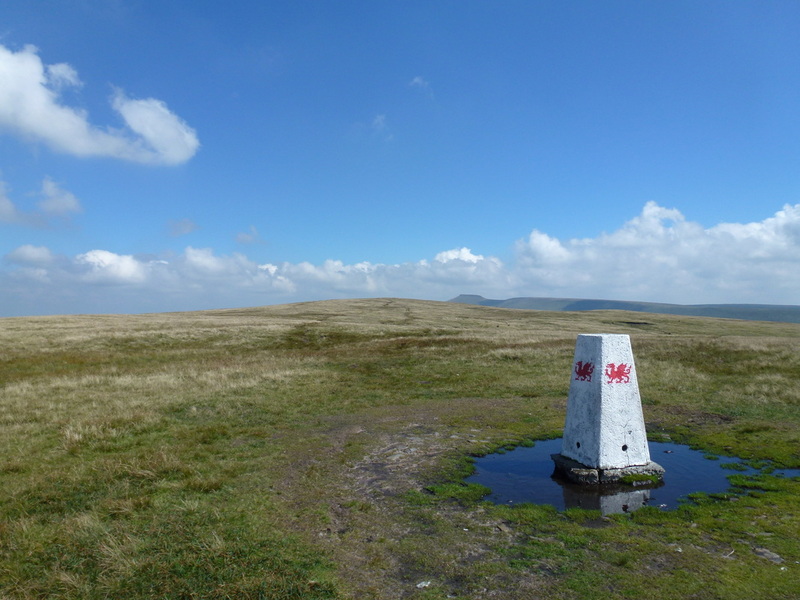 The next summit of Fan Frynych could clearly be seen and it was just a question of dropping down into a col before heading up on an easy incline to reach the white Trig Point summit emblazoned with the Welsh Dragon on all 4 sides. 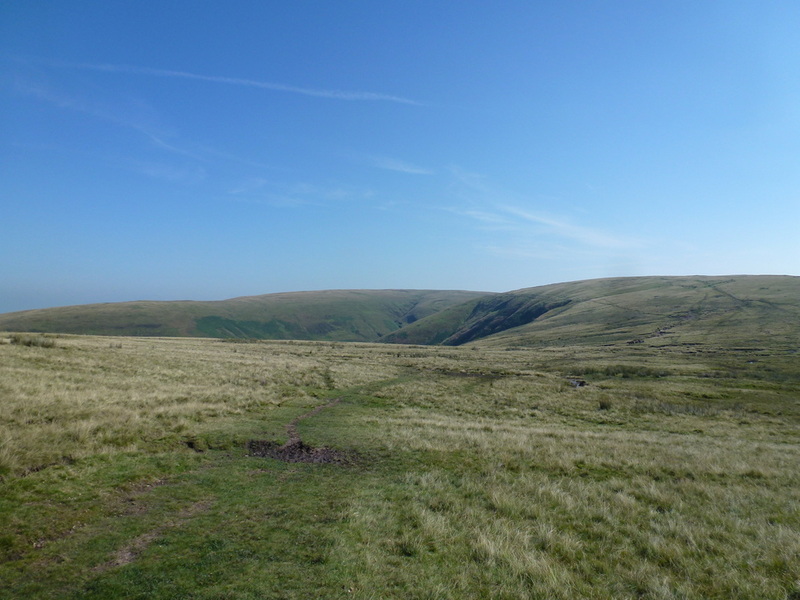 There are great views to be had from Fan Frynych and the rest of the walk could clearly be seen stretching out ahead of us. 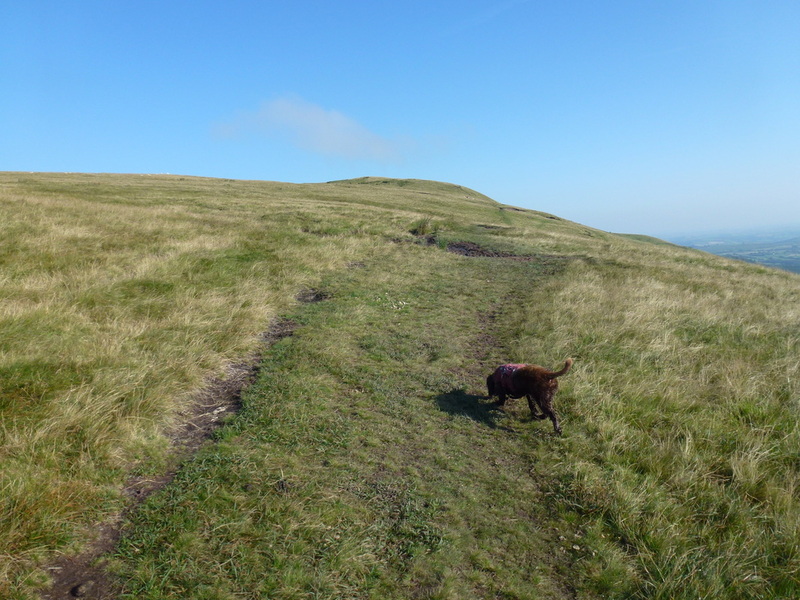 It was so peaceful and quiet on the summit that Fudge and I hung around for quite a while before moving off. 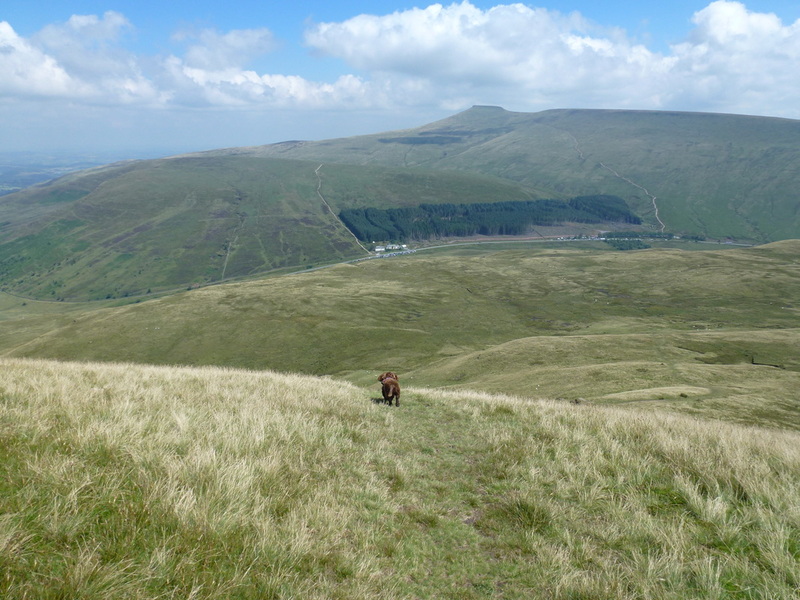 We headed back down to the col to join The Beacons Way on a long, looping and clear path ahead of us, firstly passing over Fan Llia's subsidiary summit of Fan Dringarth before reaching the tiny cairn on the summit of Fan Llia itself. 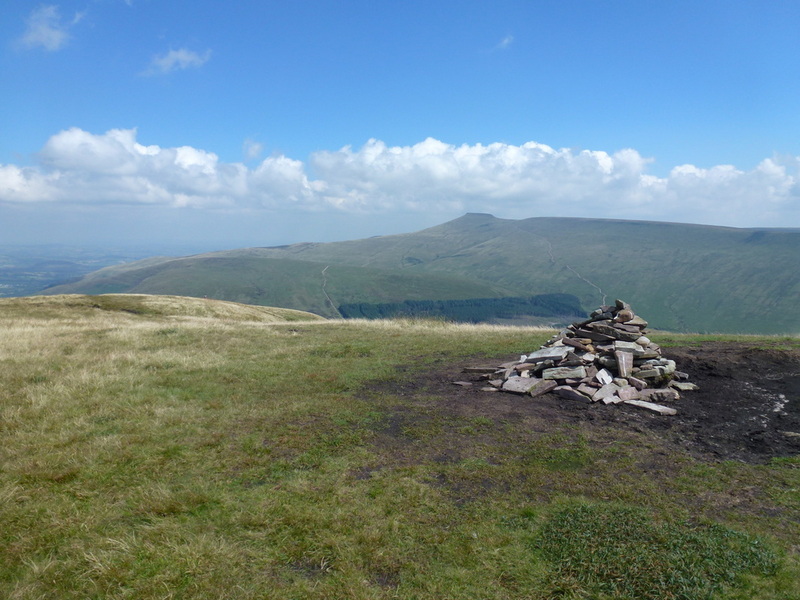 It was here that I was attacked mercilessly by a gang of wasps who clearly took a dislike to my appearing on their hill and proceeded to buzz me intermittently until I left the summit. 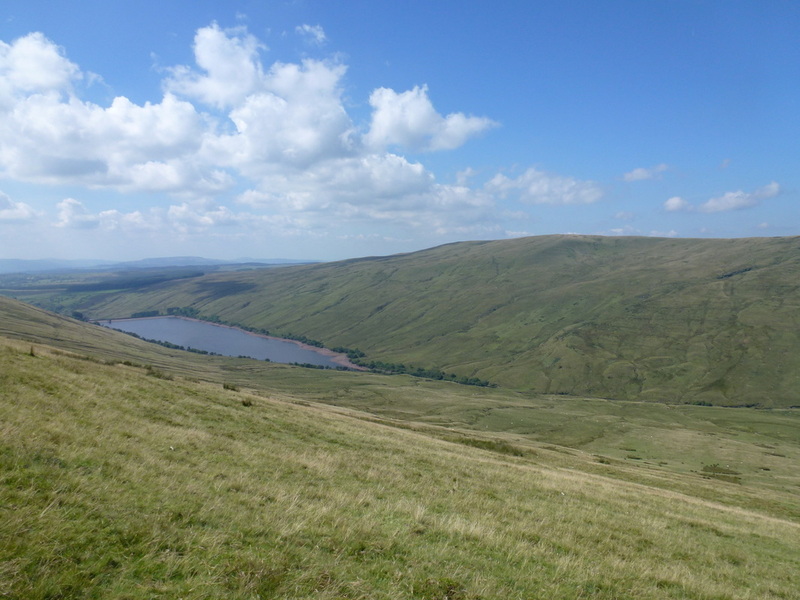 In between the wasp attacks the summit of Fan Llia gave great views over to Carmarthen Fan, Ystradfellte Reservoir and to our next destination of Fan Fawr. 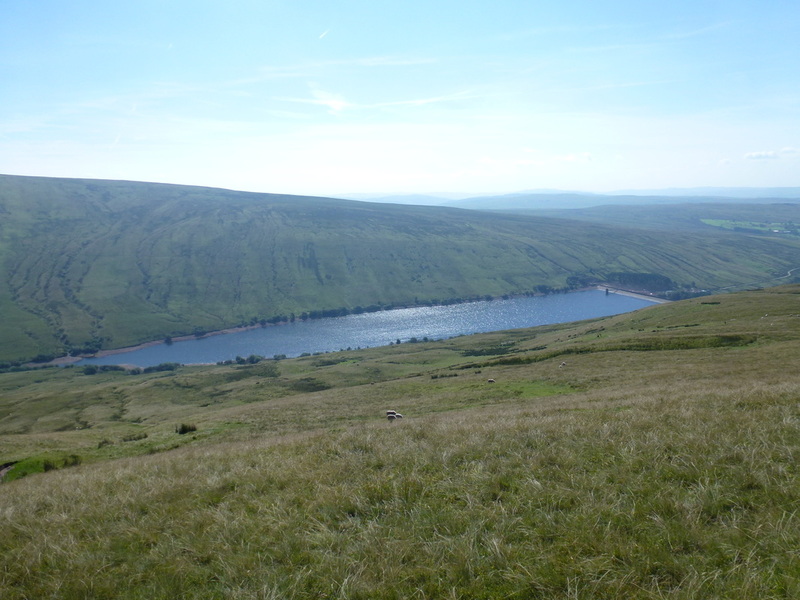 Leaving Fan Llia there was no obvious path therefore it was just a question of making a beeline down to the outflow from Ystradfellte Reservoir to join a fence before striking North to cross the river at an appropriate point - there is no bridge but there are plenty of places to cross easily. 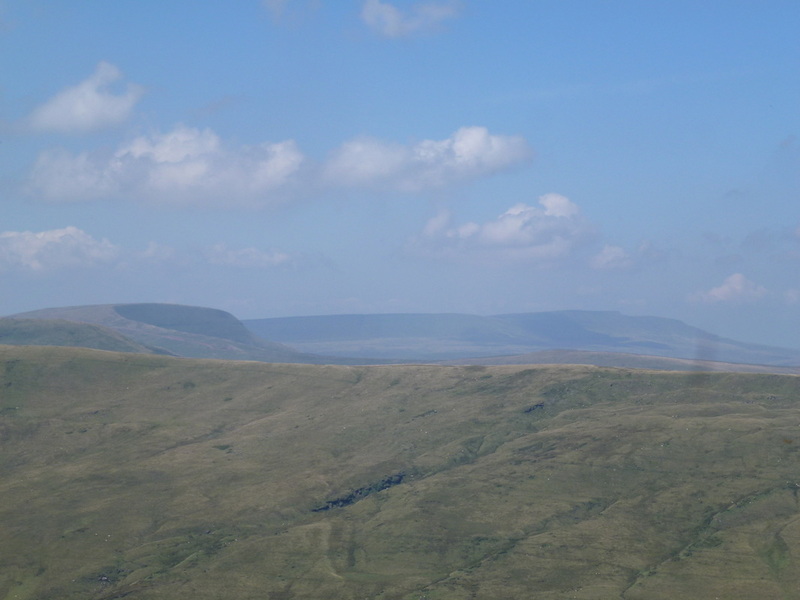 There now began a pathless and steep ascent to Fan Fawr's summit ridge from where the view over to Corn Du opens out. 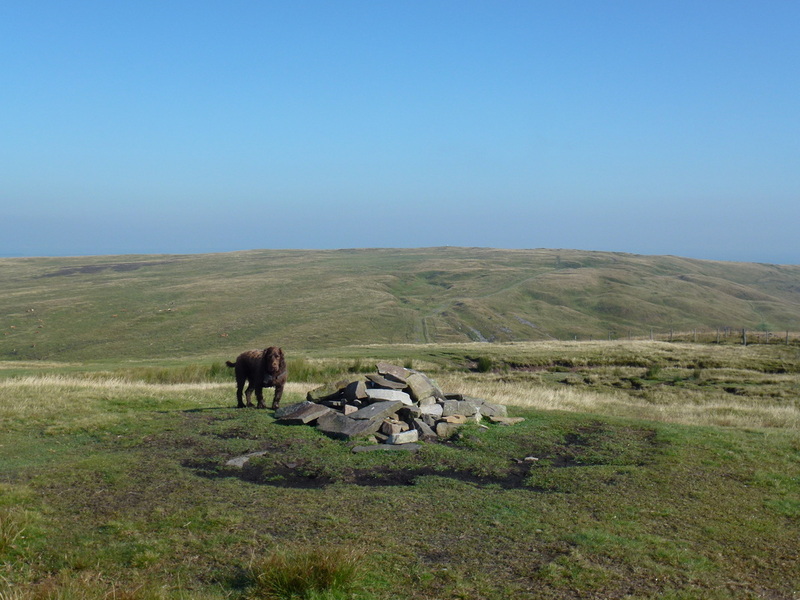 Reaching the Trig Point it was Round 2 with the wasps before we headed the 600m over to the summit proper with the wasps in tow who finally buggered off as we started our descent. 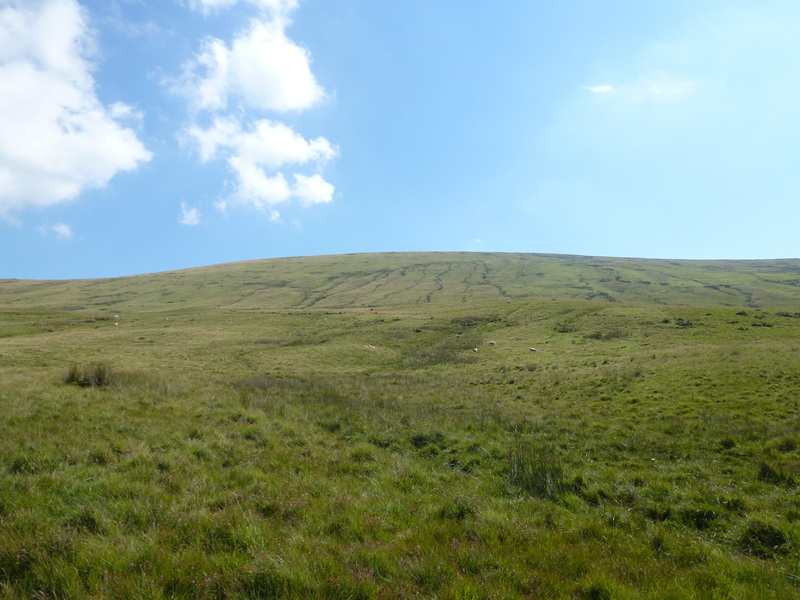 The steep descent back down to The Storey Arms is on a good path and has the option of taking in the summit of Bryn Du but we left that for another day. 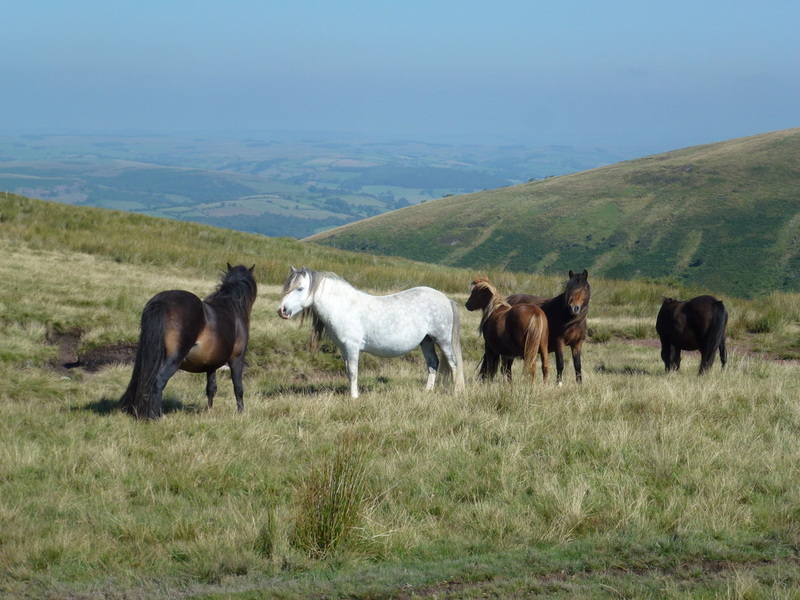 This was a really good day out and we arrived back to watch the hoards heading up to Pen y Fan - hopefully they will give the other side of the A470 a go, as it is a lovely place to spend a few hours. 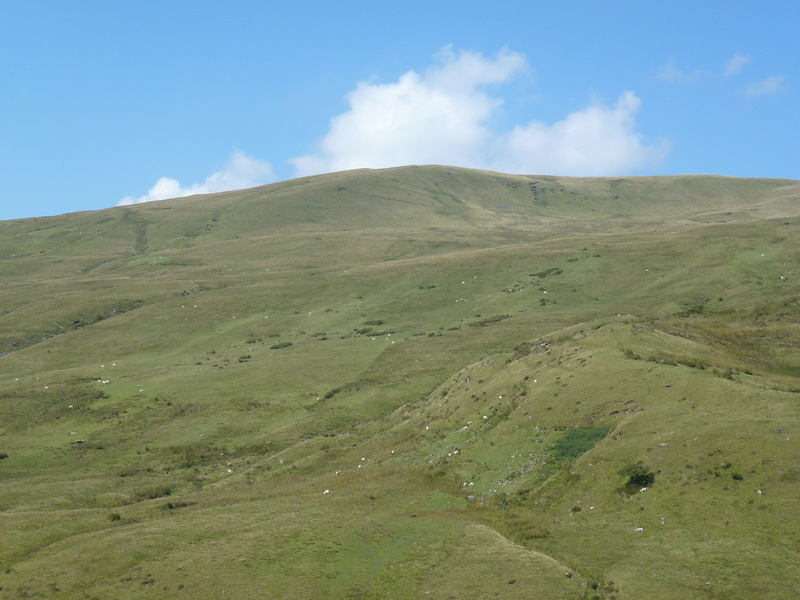 The final part of the descent to the Storey Arms - the main Corn Du path can be seen. 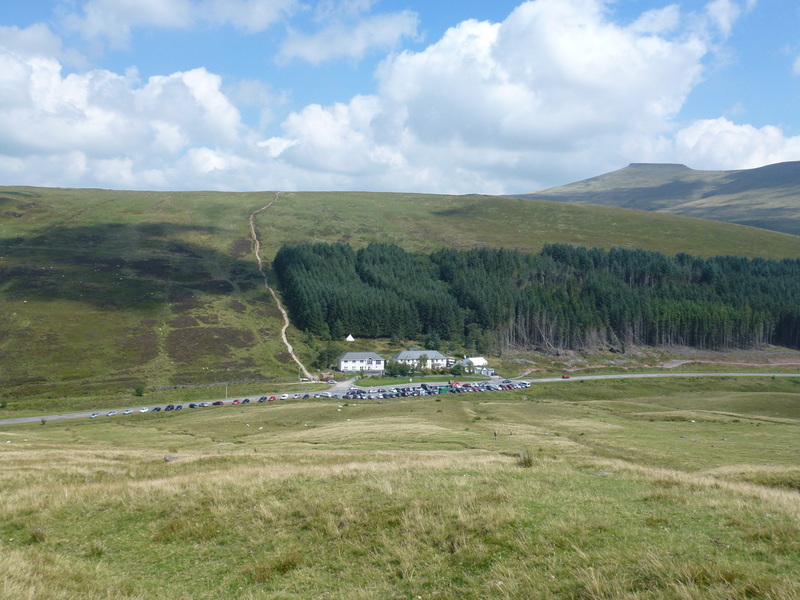 The Car Park is now a bit busier!